Going mostly raw vegan has opened my mind up to so many different kinds of recipe ideas. Plain, boring veggies and fruits can be turned into edible works of art. They can be sliced, julienned, chopped, peeled, and spiralized. The latter is what I'm specifically focusing on in this post. I mentioned before that I had tried spiralizing from time to time, but now I do it practically everyday. The newest one that I have is a vertical standing one from Brieftons. It is a bit more ergonomic. The handle is on top as opposed to on the side, like many other brands. There are suction cups on the bottom to hold it down in place on your counter. 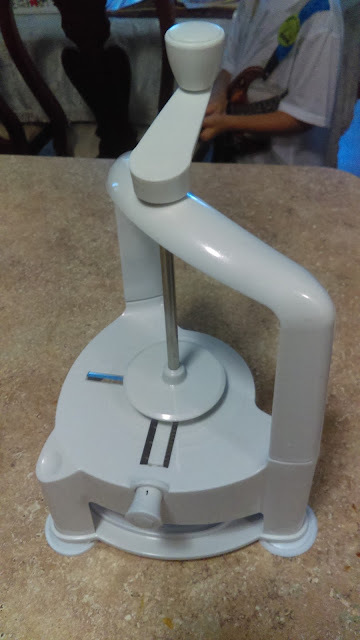 This keeps the spiralizer very steady while you are turning its crank. 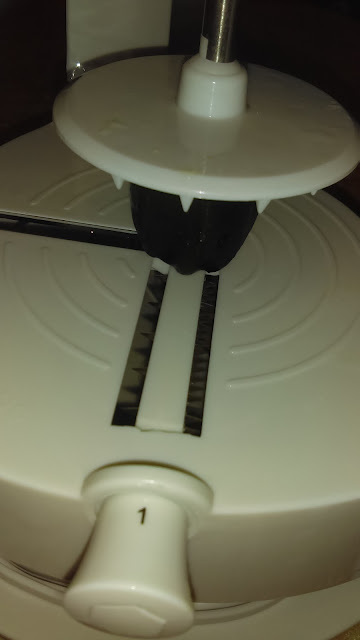 The part that you wedge your fruit or veggie underneath looks like a meat tenderizer. There is a knob on the side that you need to pull outward and twist to the number setting of your choice. There are four different blades to choose from. The picture above is of blades number 1. 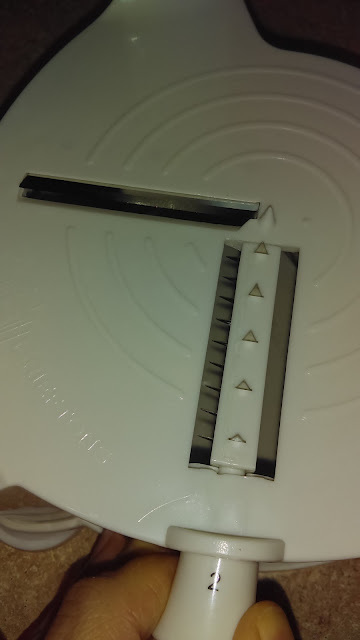 The tiny blades are the farthest apart. Blades number 2. These actually are very similar to the first one. 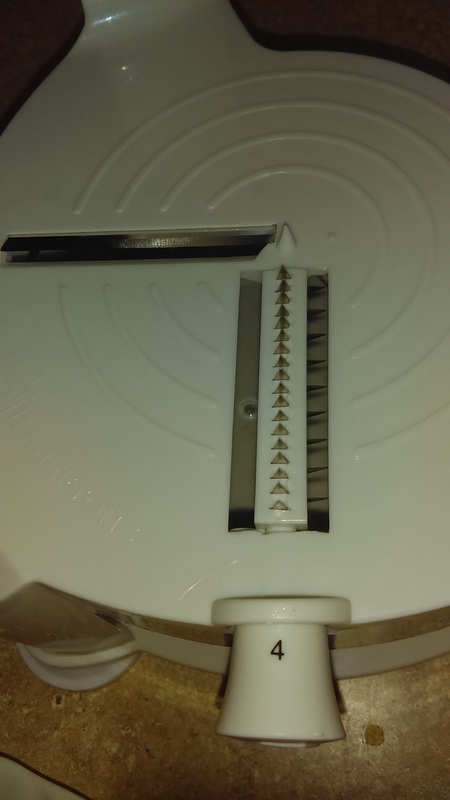 The blades are just slightly closer together. This is blades number 3. 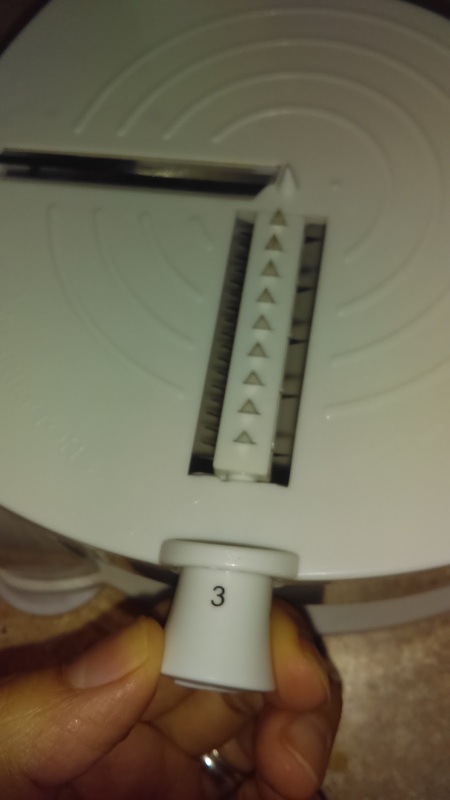 The blades are even closer, resulting in even thinner spirals. This is setting number 4, which is actually my favorite, and I think the most popular. It helps create spaghetti-like noodles. The noodles fall into the clear plastic bowl, that is included. 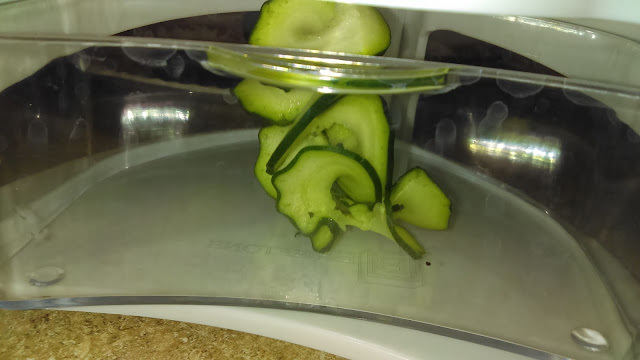 It is not a very big bowl, so you might have to empty it out a few times in between spiralizing. I like that it comes with this little bowl. My other one does not. Here is actually a pic of each noodle setting. The bottom left is setting 1, top right to bottom are 2-4. To make spiralizing with this product the easiest, I find it best to cut off the ends of what your using. I mostly use zucchini, squash, cucumbers, and carrots. It's also best to use bigger, fatter fruits and veggies and opposed to really thin ones. Larger ones fit into it a lot better. Here is a quick video I made about the Brieftons Spiralizer. This product is available for purchase here on Amazon. I received this product in exchange for my unbiased review. All opinions are my own.